Today’s topic: How to start a career in photography in 2019? For certain people, the sound of a shutter is the most pleasant thing in the world. Now, more often than not, the work as a photographer is associated with romanticism, easy money, and a bohemian lifestyle. Photography as a profession isn’t always about parties and glossy magazine advertisements. Yep, it’s seldom glamorous. While it’s true that famous photographers make a lot of money, you’ll have to really work your way to get to that level. First of all, it’s important to learn how to get clients. Second, it’s important to understand that photography isn’t as easy as it sounds. What I’m trying to say is that this profession means long hours and not much of it about photo-sessions. Besides the actual carrying bulky photography equipment and the shooting process, there’s also a lot of work with presentations, bookkeeping, spending hours in front of the monitor post-processing images, retouching and so forth. If that doesn’t scare you and you really do have creative ambitions, then welcome to the interesting world of professional photography! 1) You need to buy a good entry-level or mid-level DSLR camera. Which camera you choose depends on your skill level and how much money you can afford to invest in your gear. 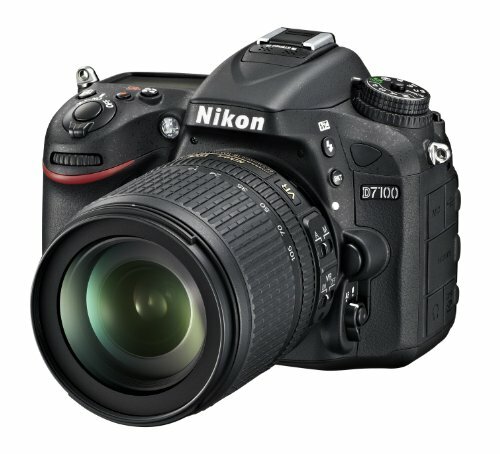 Perhaps consider one of the D7x00 series cameras. 2) You need to choose your direction. Today one of the most profitable genres is wedding photography, as well as family and children’s portraits. But don’t choose a certain genre just from a financial angle. Maybe your calling is in astrophotography. Or product advertising. Or sports. Listen to yourself and figure out which particular photography type you’re into and only this way will you reveal your talent. 3) Build a good portfolio. Whether you are a beginner or an established photographer, it is essential to have a good portfolio because it is one of the simplest and best ways to showcase your work. Anthony has some great tips about making a portfolio! Having a portfolio is also important if you want to get an internship with a working professional. Don’t wait for some inspiration, take matters into your own hands and start shooting today. That said inspiration can be found in the works of other photographers. I don’t mean copying their work. Instead searching and developing your own style. 4) Start looking for an internship or jobs with a working pro. It’s from being an assistant that you can learn the ways of the profession. If you’ve already chosen you line of work (ie. photography genre) and created an awesome portfolio, it’s time to find someone to work with. You can check job posting websites or local newspapers for ads that are looking for photographer assistants. You can get a list of pro photographers in your area, and then contact them and offer your services as an assistant. Don’t expect a lot from this job. I mean you’ll likely be just carrying a tripod around and watching the pro in his shooting process but it’ll be a great experience for you. And you’ll have a good idea of where and how you want to move forward yourself in the industry. In here, I want to provide some tips when working with a working pro as an intern/assistant. So, here’s my first tip. Every photographer is different but like many artistic natures some of them have an unbearable personality. Sometimes you’ll have to listen to a lot of criticisms but it’s all part of an invaluable practical experience. Work on your professional curiosity and observation. Pay attention not only to the details of the photoshoot, but also to the photographer in his shooting process. More often than not, photographers don’t talk about “secrets of their trade” but by observing and noticing the details, you WILL learn a lot. Cultivate a desire to learn and grow. You can reach success in any profession but in order to do that you need to put in a lot of work. Not to mention free resources on the Internet, like forums, websites and so forth. To build a solid foundation, you need learn the basics of photography! Get better with establishing and maintaining contacts. You’ll need to work on your ability to establish contacts. You need to be able to encourage people to participate in a shooting process, remind them how and what they should do. 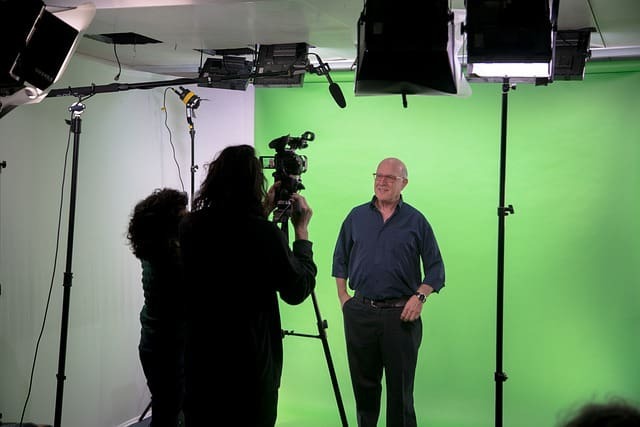 High communication skills are extremely necessary to succeed in your career as a photographer. These skills will especially help when working with clients. Because photography is a continuous communication process between the photographer and the client. If your conversation with a prospect didn’t work out from the start, then your photo session will unlikely be successful. Sad but true. You see, the status of assistant photographer implies that you’ll be staying in the shadows. If you try to attract too much attention by dressing up provocatively, showing your character etc, then it won’t have a positive effect on your career. Be humble, show your desire and ability to learn, and then you will really be appreciated. It’s important to diversify your income. Make money not only by getting clients/events, but also having a website and selling photos, or building a business around your passion. If you’re entrepreneurial minded, you should consider building a photography-related online business. I think this idea will especially be welcomed by travel photographers (or anyone who loves to travel). I mean you can fund your travels while you travel. To do that, you’ll need to build a money-making website business. If that’s what you’re interested in, then take a look at my #1 recommended platform that teaches you how to build a successful business around your (photography) passion. These exact steps took me from ZERO to $1500+/month within a year. I’m talking passive income here! ==> Here’s how I did it and how you can, too. You don’t need to finish some college or professional training to become a good photographer. Practice, practice, and again practice. 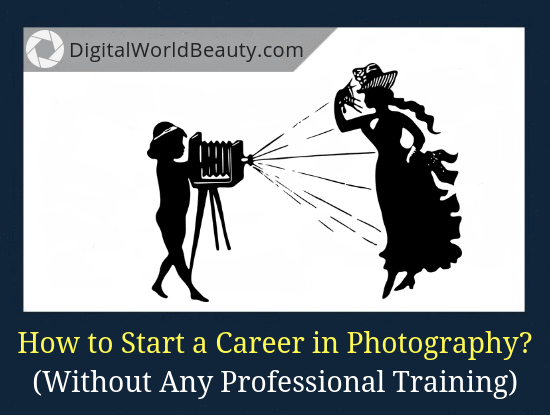 You can certainly start a career in photography from scratch, without any experience. Lots of genius photographers proved that. Let me know your thoughts, tips and/or recommendations in the comments below.